Hopping into the MkV R32 certainly brought back good memories. We had the MkV GTI for three years before swapping it for the FD2R. This unit comes with a Bastuck exhaust, a massive Forge intake and Sparco rims. 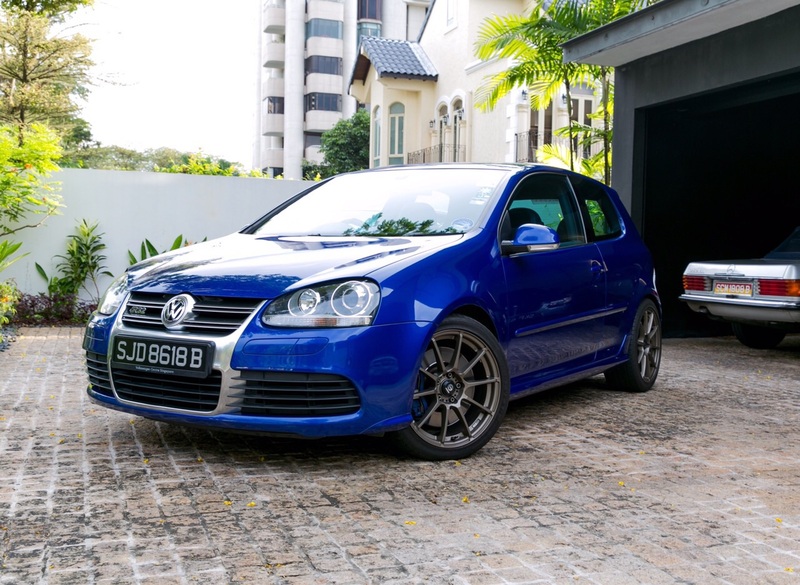 Although we prefer to keep it bone stock, the addictive VR6 grunt aided by the catback exhaust definitely elevates the overall appeal of a Golf. It’s a left-field choice, we admit, but that’s precisely why we fell in love with it. At 1500kg, this is one heavy hatchback. You could definitely feel the heft while ploughing it through the corners. I prefer to let it waft on the freeway rather than keep it on the boil, as it can’t match the urgency of the FD2R’s K20A. What’s pleasantly surprising is the low end torque that instantly reacts to my input, a very different feeling compared to the MkV GTI where the turbo takes time to spool for it to gather serious pace. It’s not as reactive as a K20A of course, but still receptive enough to derive direct response and pleasure only NA motors can muster. Technological progress have indeed helped turbocharged units to identify gaps in the torque curve and throttle response, but in our opinion, purists will still crave for the combination of an authentic engine note and accessible throttle response. The R32 will not be a petrolhead’s first choice primarily due to its heft, but old school ingredients are well in place for an enjoyable time behind the wheel, which is why Lenspeed is always on the hunt in the classifieds for rare finds. And in our opinion, the R32 fits our list and will be part of our staff fleet for the long haul. In-depth updates soon!